“This announcement is a great boost to Co. Kildare and Kildare South in particular with 6 of the 9 appointments due to be based in the South of the County. It is expected that 2 new sergeants will go to Newbridge, 2 to Athy, 1 to Castledermot and 1 to Rathangan. These appointments are recognition by senior Garda management of the historically low Garda numbers in Kildare, something I have been highlighting since I first became a TD. “The decision of Fianna Fáil to close Templemore in 2009 had a disastrous impact on our ability to maintain and grow Garda numbers nationally and in Kildare in particular. Being close to Dublin with a large motorway system and growing population Kildare’s representation fell behind with a lack of new recruits or transfers. Since we re-opened Templemore in 2014 we have received an ongoing influx of new recruits to Kildare, with an allocation from every graduation class, most recently 10 in March is helping to address this issue. 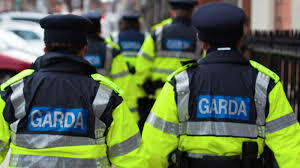 “I will continue to lobby for an increased provision of Gardai in Kildare both in terms of recruits and transfers of more experienced Gardai as the force in Kildare continues to be boosted by these new appointment.